Adidas Launches the All-New Nmd R1 Primeknit "Japan Boost"
Another sneaker to add to our wish list! (SPOT.ph) The hype for the Superstar and Stan Smith has slowly mellowed down, but sneakerheads are still at it—this time, with the Adidas NMD sneaker. The popular runner has been given a Primeknit treatment for extra comfort (and style! 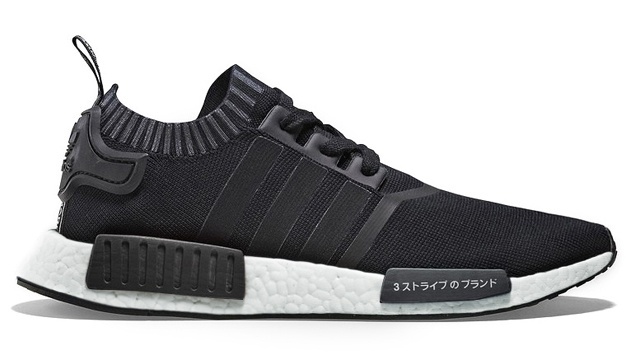 ), and the Internet is going crazy over the latest model, the Adidas NMD R1 Primeknit "Japan Boost." The dominantly black sneaker features a tightly woven Primeknit upper that's decorated with Japanese writings in white, including a subtle design on the heel collar that translates to "Three Stripe Brand." It also has subtle black stripes around the ankle collar, black laces, plus a white Boost sole unit. The Adidas NMD R1 Primeknit "Japan Boost" will be released internationally on June 10. So sneakerheads, start praying to the sneaker gods for a local release!